Vancouver, BC – Forest mapping technologies and deployment techniques are progressing rapidly now. The technology has moved on considerably in just 12 months. The quality and quantity of data being collected through an array of new sensors and platforms has continued to sky-rocket. The task being grappled with now is how to best use the collected data and convert it into something usable for all stakeholders. 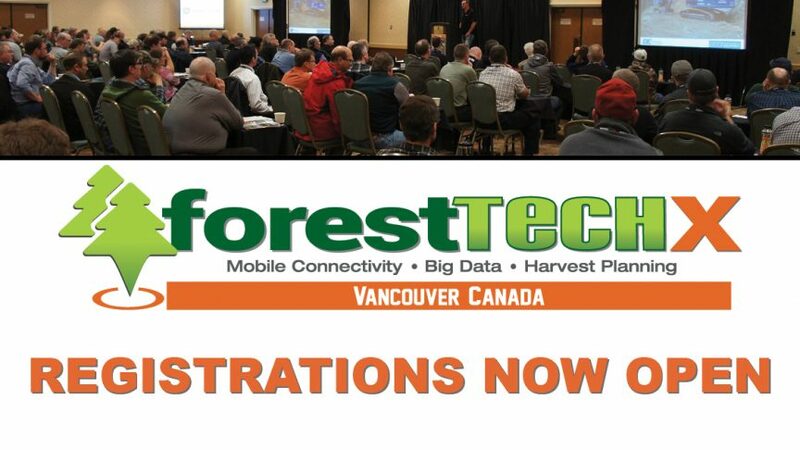 An international conference coming to Vancouver in March 2018, ForestTECHX 2018, will provide all forestry companies with a timely and independent overview. New data collection tools and systems for better measuring, managing and analysing this information will be covered. New forestry apps increasingly in common use will also feature. These new powerful analytics can add value, both operationally and financially, to Canadian and US-based forest companies. One of the keynote speakers is Kevin Lim, President and CTO at Lim Geomatics. Kevin is recognized as an international expert in LiDAR remote sensing, as well as an industry leading enterprise GIS and IT architect. His team’s software has been used to process over 30 million hectares of LiDAR and photo point cloud data in support of enhanced forest inventory production. The 2018 ForestTECHX conference runs March 6-7th at the Executive Airport Plaza Hotel in Richmond, BC. Registrations are now open on www.foresttechx.events with the Super Early Bird Rate available until December 20th, 2017.